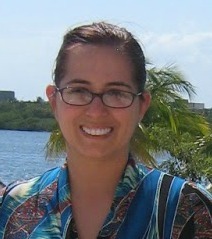 Susan's Disney Family: Jergens Crema body moisturizers you will love! Jergens Crema body moisturizers you will love! Jergens Crema body moisturizers were created to pamper and soften your skin with naturally hydrating ingredients. Rejuvenate your skin with the Jergens® Crema collection and see the beautiful difference. 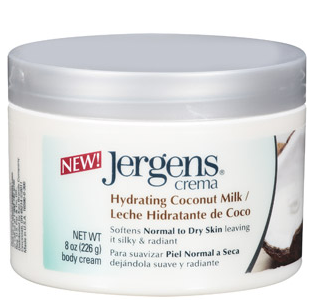 Jergens® Crema Hydrating Coconut Milk - Softens normal to dry skin leaving it silky and radiant. This lightweight formula with the essence of coconut milk is designed to nourish and moisturize normal to dry skin. Jergens® Crema Hydrating Coconut Milk gives you silky, radiant skin, and leaves you feeling pampered and renewed. Treat your skin to this antioxidant-rich coconut milk formula for alluringly soft skin. I loved the coconut smell of this cream it reminded me of being on the beach, a nice tropical coconut smell. 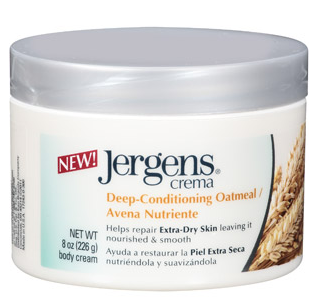 Jergens® Crema Deep-Conditioning Oatmeal - Helps repair extra-dry skin leaving it nourished and smooth. Treat your extra-dry skin with the richest moisturizer in the Crema collection. Deep-Conditioning Oatmeal is specially formulated to nourish and hydrate your extra-dry skin–leaving it smooth, soft, and visibly healthier. Harness the naturally healing and soothing properties of oatmeal to condition and replenish your skin with this indulgent body moisturizer. In the cold weather, my skin tends to be extra dry and it is in need of help, the deep conditioning of the oatmeal is just what my dry skin needed. Jergens® Crema Enriched with Aloe Vera– Relieves dry skin leaving it fresh and visibly healthier. Enriched with Aloe Vera–long prized for its skin-soothing properties–this luscious body moisturizer is specially formulated with Vitamin E and B5. This formula enriches and refreshes your dry skin. Jergens® Crema Soothing Aloe Vera absorbs quickly and provides long-lasting moisture, for beautiful, visibly healthier skin. My husband has rough and damaged skin (from working outside for years) this cream that is enriched with aloe vera was a great cream to help my husband’s skin look visibly healthier. I have heard of Jergens in the past and be honest I never tried the products… But co-workers of mine had heard of them, and praised Jergens so I was excited to be able to review Jergens Crema. Because it is getting warmer here, I am a huge fan of the hand cream foot cream, just a great all over cream. And with Jergens® Crema I can get an allover cream that I am looking for. Going from sneakers to flip flops and sandals is hard for me to do. Why you ask? Because of my dry dry feet, being wrapped in shoes all winter they are pretty rough and dry. Not at all ready to greet the world. But after trying the Jergens® Crema Deep-Conditioning Oatmeal, I love my feet and they are ready to be shown off. My feet did not get immediately softer (well they did a little) but after using the cream a bit, boy could I tell the difference. It is made with Shea Butter this is strong moisturizer that helps even very dry skin. I only had to use a bit at a time and it really helped make my feet "Summer feet". Jergens® Crema Enriched with Aloe Vera Cream is also a great lotion, I keep this near my sink, we wash our hands a lot so they tend to try out and are not as smooth as they can be, so I use this on my hands daily after I wash. My daughter has been using this cream as well. She gets dry knees (from playing on her knees all the time) She has started using this to soften up her knees (she has to do it herself, she is a big girl! She is growing up so fast!). The cream is thick, and it goes on smooth and absorbs without being greasy. It is a great cream. Jergens® Crema cream was great for all over body coverage, I will be sure to pack this with me when I travel. I tend to really dry out when I am on the road. 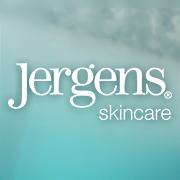 I really like the Jergens company, they have so many great products. I love that the lotions are not greasy or sticky, they absorb quickly, and makes your skin feel great. Check out Jergens lotion I know you will love it. You can purchase Jergens® Crema products at your local supermarket. Retira el pollo dorado del fuego y ponlo enn un plato.